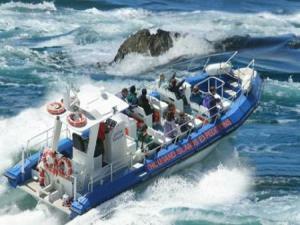 Fully Guided Premier Marine Wildlife Tours. A long standing local family company with highly qualified and experienced personnel including oceanographers, fisheries scientists etc. 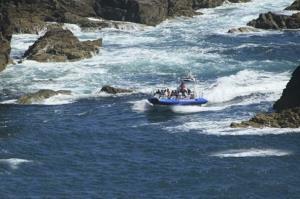 Gower Coast Adventures boat trips are an exhilarating opportunity not to be missed. Join us aboard Sea Serpent to discover the unspoilt beauty of the magnificent Gower Coast. 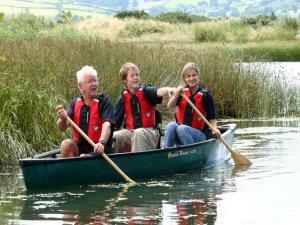 Ribride offers a wide range of exciting water based experiences in the North Wales area. With stunning scenary along the Menai Straits and unique views of the Snowdonia mountains, it is a great way to enjoy the area. 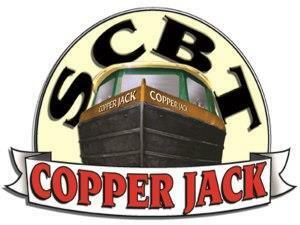 We are Wales’ best adventure boat tour company. 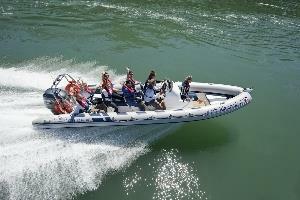 Our skippers are your fast and fun guides to the natural history of Anglesey aboard our fleet of new RIBs. Scheduled tours or private charter. Open throughout the school summer holidays, our canoe safari gives you the chance to explore otherwise inaccessible watery expanses and look out for wildlife on the water. Our traditional Canadian canoes are suitable for 2-3 people. 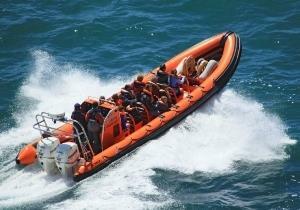 Exciting 1 hr jet boat trips around Ramsey Island. Fast currents, sea caves, seabirds and wildlife.